With financial support from the Temple-Inland Foundation, the Austin Community Foundation, and the Michael and Susan Dell Foundation, the Lady Bird Johnson Wildflower Center, Town Lake Trail Foundation, and City of Austin Parks and Recreation Department have partnered to introduce Healthy Trees for the Trail, a comprehensive woodland management plan for the Town Lake Trail. Starting this month, the organizations will work together to return the meadow and woodland areas along Town Lake to a healthy state and assure that care of the trees, wildlife, and flora along the trails is sustained for years to come. Recent Parks and Recreation Department funding and personnel cutbacks have significantly reduced resources needed to adequately maintain the trees along Town Lake. Trees have died or have been cut down due to illness, infestation, or because they were a danger to trail users. Increasingly, invasive or aggressive species are threatening to crowd out native cottonwoods, pecan, and cypress trees, while many 100-year old “specimen” species suffer under the weight of enormous, re-sprouting vines such as mustang grape. Additionally, non-natives, such as nandina, Chinaberry, privet, and Chinese tallow, are spreading along the trail system while poison ivy and poison oak endanger trail users. In 2003, Town Lake Trail Foundation leaders recognized the growing danger of the situation, and amid growing concern for the welfare of the trees, began raising money for the program. 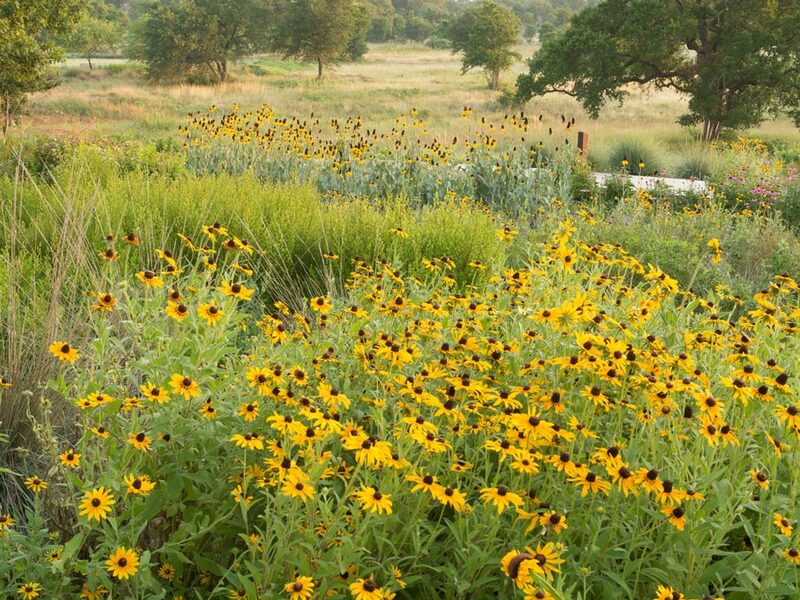 “We knew we would need the expertise of trained arborists and native species professionals, so partnering with the Lady Bird Johnson Wildflower Center to manage the effort was a top priority,” said Trail Foundation Director Dan Garrison. The Trail Foundation also sought assistance from neighborhood associations, and arbor and environmental organizations, including Save Our Springs, Tree Folks, and tree care companies. “The Town Lake Trail Foundation is playing a key role in protecting one of Austin’s great public places. We’re confident their leadership will help make this woodland management plan a big success,” stated MariBen Ramsey, Executive Director, Austin Community Foundation. The work for Healthy Trees for the Trail will have minimal impact on access to the trail itself. It is anticipated that the trail will be open throughout all work, but if any closures need to occur, the trail detours will be brief and only occur during periods of lowest use. 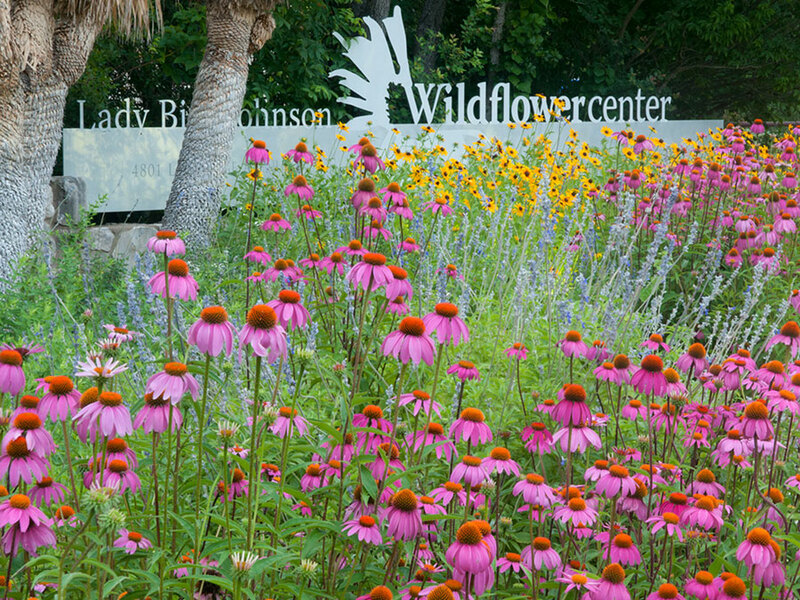 Former First Lady of the United States Lady Bird Johnson and the late actress Helen Hayes founded the National Wildflower Research Center in 1982; the name was changed to the Lady Bird Johnson Wildflower Center in 1998. With members in the United States and Canada, it is one of North America’s premier environmental organizations dedicated to promoting the importance of native plants in the environment. In 2003 runners and friends of Austin’s Town Lake Trail formed the Town Lake Trail Foundation (TLTF) as a 501(c)(3) non-profit corporation to expand, restore, improve, beautify and maintain the network of hike and bike trails that line the Colorado River as it flows through Central Texas. The Foundation is building a permanent endowment to support the Trail and achieve its vision: to ensure that the Town Lake Trail remains the most beautiful, natural, fitness-friendly hike and bike path in any urban area in the United States. Financial pledges, information and trail improvement ideas are welcome and appreciated.